Just when you thought I couldn’t post any more Unique Performance news! CBS11 has reported on some angry former employees of Unique Performance who are owed tens of thousands of dollars. 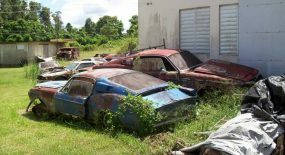 Even after UP had 61 cars confiscated by police Hasty still ordered his workers to continue work on the Foose Stallion and other cars, siting bank delays for their non payment. Deras is referring to the collapse of Unique Performance. On November 1st Farmers Branch police detectives started executing search warrants at several locations where the vehicles were manufactured and stored. 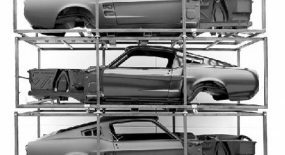 In all, 61 vehicles were confiscated; 58 were Shelby Mustangs in various stages of completion, three were Chevrolet Camaros. Police say the vehicles lacked adequate titles and the vehicle identification numbers had been scraped off all of the confiscated cars. No arrests were made and no charges have been filed. The case is still under investigation. 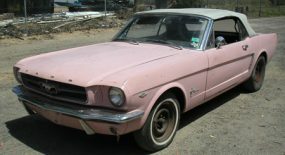 After the raid, Unique Performance locked it doors and would not answer questions about the cars seized, but employees who worked on the Foose Stallion were asked to stay on the job. CBS 11 News Reporter Stephanie Lucero has spoken to numerous former Unique Performance employees who say they are owed more than $40,000 in back pay. Some of the men and women say they’ve been given assurances that they will be paid on December 26th. Doug Hasty is the President of Unique Performance. After police seized the Shelbys, employees say work on the Foose vehicles continued. The former employees say they also helped clear the warehouses and moved materials to other locations. 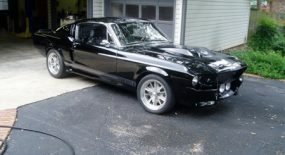 The Foose Stallion Mustang is a vehicle conceptualized by famed automobile designer Chip Foose. His company, Foose Design, which is based in California, had a licensing agreement with Unique Performance and Techstar Automotive Group. Shortly after the police seizure, Foose Design terminated its licensing agreement and all business activities with Unique Performance. Tom Pappas, a Dallas attorney representing Hasty in the criminal case, says the former employees are “the least of the problems for him”. Pappas says “I know that Doug strongly believes if he can get out of bankruptcy he’ll be able to pay his debts”. Pappas would not allow CBS 11 News to speak directly to Hasty. Legendary sports car icon Carroll Shelby pulled out of his licensing agreement with Unique Performance just days after the police raid. 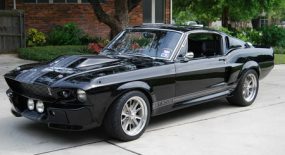 Carroll Shelby Licensing says Unique fell behind on customer orders for the vintage Shelby Mustangs and numerous lawsuits were filed by angry customers. 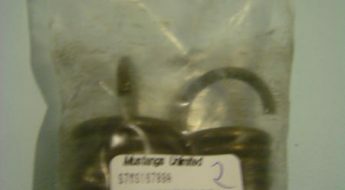 Hasty claimed Shelby’s company was late in delivering parts. Former employees of Unique Performance say they have little hope of getting their money. They say they are owed various amounts of money and stayed, even though they didn’t know when they would get a paycheck, due to their loyalty to the company and the car. The employees say they believe Unique Performance and Techstar have a responsibility to pay their unpaid wages. A spokesperson for Techstar did not return CBS 11 News phone calls. Three people have filed complaints against Unique Performance with the Texas Office of the Attorney General. What were the workers thing though as if it wasn’t going to turn out all bad.